EECO provides a hydraulic elevator power unit for any application, from small capacity residential to the largest freight elevators. EECO can furnish a standard model power unit, in accordance with your specifications, or we can perform the necessary calculations, based on your data, to select and recommend an elevator power unit to meet your requirements. EECO manufactures hydraulic elevator power units with precision equipment, skilled and experienced production personnel, and a knowledgeable engineering staff to comply with the exacting standards required to produce a quality product. The latest CNC equipment and technology is utilized to assure strict adherence to essential dimensions and tolerances. All EECO products are designed and manufactured in accordance with the Safety Code for Elevators and Escalators, ASME A17.1/CSA B44. With years of testing and field study, EECO has designed submersible and belt drive power units that are unequaled in the industry for performance and reliability. The primary objective of Elevator Equipment Corporation is to provide a quality product that consistently meets or exceeds the contractual demands and expectations of our customers. Quality Control is an essential and integral part of our manufacturing process. Every phase of production is monitored to assure that each power unit is assembled in accordance with engineering and shop order specifications to meet the quality standards required by Elevator Equipment Corporation. From the initial process of material as it comes in the door, to the final process of placing the product on the truck, you can be assured that our high quality standards are met and that the finished product meets your requirements. EECO can provide units for installation in hazardous or humid environments using moisture resistant or explosion proof components. 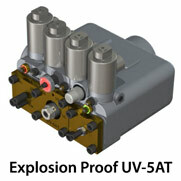 Explosion Proof Valves have a NEMA 7 rating. Contact EECO for more information. 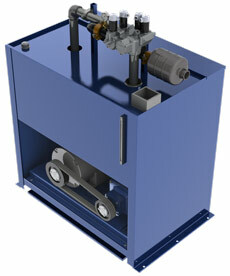 It is our goal to deliver an elevator power unit when needed. If a rush order is required, EECO will make every effort possible to meet your requirements. 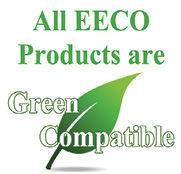 Contact EECO for current lead times. The tank is constructed with a 12 ga. steel body, a removable 14 ga. steel cover. Units are designed to fit through a standard machine room door (see dimensional charts). A means for checking oil level is provided. Mounting feet are provided with holes to allow for securing to the floor with an Isolation Anchor Kit included for installation. A junction box is provided for connecting motor, low oil switch, thermostat switch, and control valve wires and can be installed internally or externally.